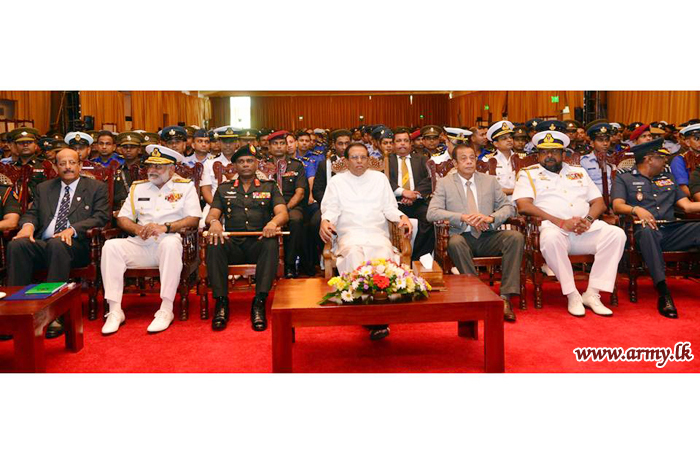 Sri Lanka’s president Maithripala Sirisena told soldiers that the army had been “recognised by the UN” at a seminar delivered to more than 2,000 troops last week. Sirisena’s address to troops was delivered as he appeared alongside Admiral Ravindra Wijegunaratne, Sri Lanka’s most senior military officer, who was arrested over the cover up of the disappearance and murder of 11 Tamil youths, before being released on bail. 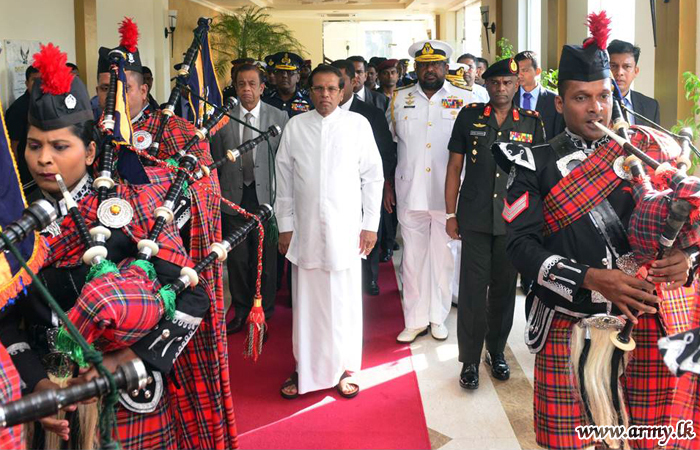 "I would like to bow my head to all of you for your services before the war, during the war and in the post-war era” Sirisena told the military audience. 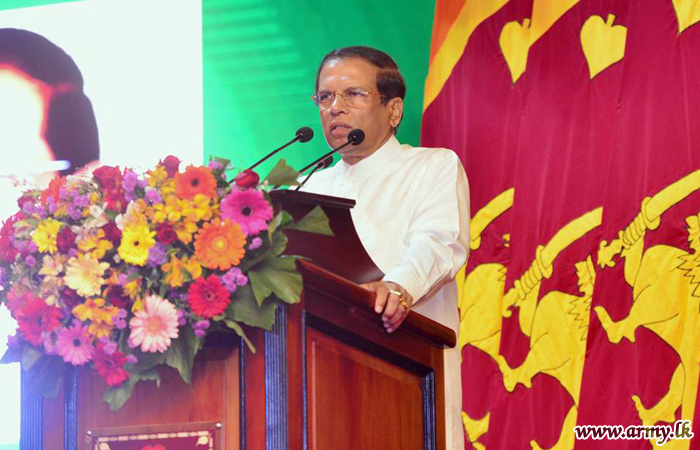 The president seemed to be highlighting the Sri Lankan military’s involvement in UN peacekeeping operations. The inclusion of Sri Lankan troops sparked outcry from human rights organisations, who called for further vetting to ensure Sri Lankan troops accused of war crimes are not deployed. A document drawn up by the International Truth and Justice Project (ITJP) and submitted to the United Nations names several senior Sri Lankan commanders who are accused of war crimes and have been deployed in peacekeeping operations, since a massive military offensive in 2009 which saw tens of thousands of Tamils massacred by the Sri Lankan army.